The golden apples of the goddess Iduna gave youth and beauty to the other Norse gods and goddesses. Their magical properties entranced the storm giant Thiassi, who found a way to kidnap Iduna and her fruit. After Iduna was rescued, Thiassi, in the form of an eagle, was burned. His eyes were thrown into the heavens to become constellations, continuing his life like a phoenix rising from flames. Many ancient cultures valued fruit, some enough to bury apples with the deceased. The petrified remains of sliced apples have been found in tombs as much as 7,000 years old. Apples became a symbol of youth and rebirth, perhaps in part because they keep so well through the winter. 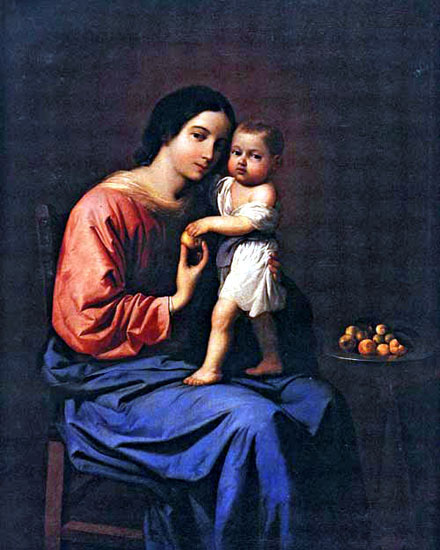 In Christian lore, the apple represents redemption and sometimes is depicted in paintings of the Madonna and Christ Child, such as in “Madonna of the Apple” by 17th century artist Francisco de Zurbarán. What could be more fitting than planting apple trees on Resurrection Sunday in memory of my son Tristan? One of the two trees is a type called “Gold Rush,” reminding me of Iduna’s gilded fruit that imparts new life. The trees are perfect gifts from my brother Jim and his wife Janet. A basket of golden apples and a note about their significance would make a lovely gift to someone who has lost a loved one. Image: This file has been identified as being free of known restrictions under copyright law, including all related and neighboring rights. What do daffodils represent to you? Dancing daffodils herald spring, arriving during the month of the spring equinox, Lent, and sometimes Easter. These bright yellow flowers are called Lent Lilies in England and Easter Bells, or Oesterglocken, in Germany. They are an obvious symbol for rebirth and new beginnings. The symbolism relates to resurrection on two levels for me. First, the American Cancer Society views the daffodil as a symbol of hope for a cancer cure. How fitting, when I just received a clear x-ray 4.5 years out from treatment. Second, the daffodil is sometimes called the Narcissus. Narcissus is rooted in the Greek word narke, which means numbness or torpor, because the bulbs contain a paralyzing and toxic alkaloid. The bulbs were allegedly carried by Roman soldiers so if they became mortally wounded, they could eat the bulbs to ease the pain as they perished. Narke also is the foundation for the word “narcotic.” My son passed from a narcotic overdose. Because of these associations, my friend Karen wanted me to have daffodils in Tristan’s memorial garden. This week they danced into bloom, their sunny dispositions cheering up the yard and filling my heart with pleasure. Here is a little ritual you can do with a daffodil to assist with healing from grief (modified from the book The Magic of Flowers by Tess Whitehurst). On a sunny day, fill a pretty glass with fresh water and carry it to a Narcissus. Hold the container while sitting with the flower, gazing into its golden depths. Take some slow, deep breaths. Imagine light from the sun filling the water with healing energy. Then drink a little of the water to absorb the energy of the sun. Pour the rest of the water around the base of the flower. 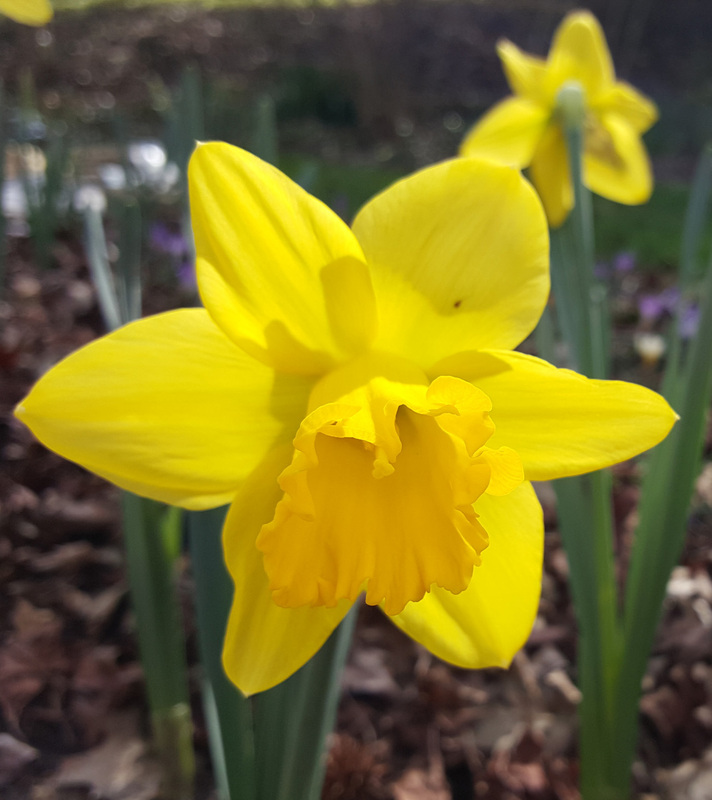 As you offer life-giving moisture to the daffodil, ask the blossom to share its gift of presence with you by strengthening your ability to be more fully present during each day, letting go of some of your grief. Tess Whitehurst, The Magic of Flowers Llewellyn Publications, 2013, p. 259. … These wounds won’t seem to heal. This pain is just too real. There’s just too much that time cannot erase. When you cried I’d wipe away all of your tears. When you’d scream I’d fight away all of your fears. And I held your hand through all of these years. But you still have all of me. Songs can touch the deepest recesses of our hearts. I listened to “My Immortal” for the first time during this past weekend, after seeing it suggested in an email from my friend Kathy Nace. I wept for hours, the music bringing up yet another facet of grief. The lyrics speak so eloquently of what it feels like to lose a beloved child: A child who captivated your heart, who held your hand with love and trust, a child you soothed countless times, a child you held close when wild with fears. And then to lose that child. The face, the voice, the hugs, all hauntingly familiar yet forever gone. The pain is too real. Grief had swallowed me up time and again, repeatedly dragging me down into the dark underbelly of life. Because of their powerful nature, the right songs can help with grieving and healing. It doesn’t need to be an entire song. It can simply involve a turn of phrase that cuts right through your heart. I had started in June 2015 with months of sometimes breathless agony, sobbing to “How to Save a Life” by The Fray. On repeat. Over. And over. Deeply I held all the shards from that facet of my grief. Gradually I added “Chasing Cars” by Snow Patrol. On repeat. Over. And over. I peered closely into new shards that surfaced. Other songs began entering the mix, some I had known about, some new. Always played on repeat, always accompanied by fresh, copious tears. I found I could not move forward with new songs representing progress until I had spent enough time with the ones that spoke to where I was at the time. Yet the music did help move my grief process forward. It felt like someone understood the ineffable nuances of my pain at each stage. Now that there is some significant distance from the initial shock, I have the flexibility to move back and forth among the songs I have collected, depending on how I am feeling at the time. I am largely done with some of the songs. Sometimes I will go weeks before feeling the desire to revisit a certain song. Sometimes a new piece will strike a chord within. The sound vibrates into my soul and the tears flow once more. Having seen people cry ten or more years after losing a loved one, I know this flooding can occur at any time. As the song says, “There’s just too much that time cannot erase.” Yet there can be healing. Courtney Armstrong, in “Music: A powerful ally in your counseling sessions,” explains how she uses songs to assist her clients with healing. She includes a couple examples with playlists that were used in her Counseling Today article this month. 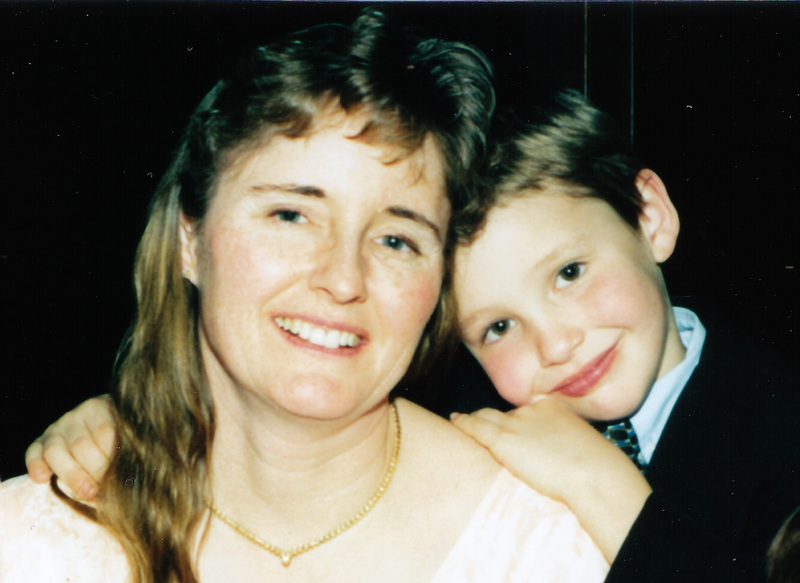 For the past nine months, my prayer life had succumbed to grief after losing my son. Recently I visited with Vince and Connie Lasorso, owners of Whatever Works Wellness Center. Vince had written a special healing rosary prayer for me to use while I was in cancer treatment. The rosary is a necklace of beads used for meditative prayers. One Hail Mary prayer is said for each bead, and the beads are strung on Catholic rosaries in groups of ten. Those who pray the rosary use the beads to track where they are at in their prayer process. Vince had expanded his rosary into a book about Mother Mary and the rosary. He talked about how persistent use of the rosary can take us into new areas of consciousness and can open us up to healing energy. I badly needed this conversation. 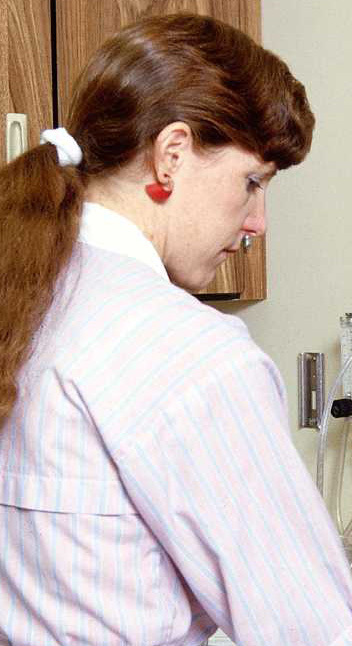 During cancer treatment, I had no energy for prayer. Then for years I poured intense prayer energy into my son Tristan, yet still lost him to a heroin overdose. Deeply discouraged, my prayer life had withered. 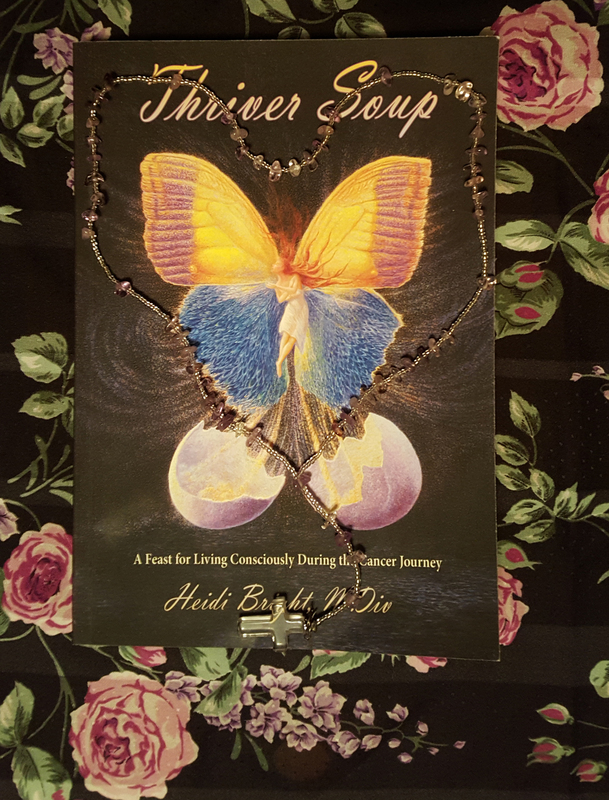 Vince could tell—so he reminded me that for years people had been pouring their prayers into me, and here I am healthy with my third published book, Thriver Soup, to share what I learned about healing during cancer. Synchronistically, my friend Gay had given me my first rosary as a Christmas gift this past year. It is beautiful—she had purchased it from an international healer from Brazil called John of God. The prayer beads are made with lavender-colored amethyst. Amethyst is believed to be sacred to the Buddha, so Tibetans make prayer beads from the purple quartz. The crystal has long been associated with healing. Okay, time to return to prayer. The next day, for the first time, I prayed the healing rosary Vince had developed for me years earlier, using the gift from Gay. Before I even finished, a call came in from a cancer patient wanting to know where I would next be presenting my talk about the ABCs of healing. Mother Mary was already extending her healing blessings through me to a cancer patient. I only had to be available and faithful. The word “bead” comes from the old English noun “bede,” which means “prayer.” Prayer beads are used in most religious traditions. Buddhists, Hindus, and Sikhs use 108 beads; Eastern Orthodox Christians use prayer ropes with 100 knots; Muslims use 99 or 33 beads; Baha’is use either 95 or 24; Catholics use 59. Each number has significance, yet the main point is to meditatively pray using the garland of beads. For example, if you want to say ten Hail Marys, use ten beads. By moving your fingers from one bead to the next with each prayer you repeat, you don’t have to keep track of how many you’ve said; you can simply focus on saying the prayer from your heart. If you don’t have prayer beads and want something quick, tie knots in a piece of string to use for meditatively praying.